﻿ Buzzard's Roost Nature Preserve - Ohio. Find It Here. The Earl H. Barnhart "Buzzard's Roost" Nature Preserve is part of the Ross County Park District and conserves nearly 1,200 acres of the most rugged and scenic country in the area. There are over six-miles of forested trail where hikers will meander past ponds, vernal pools, the crumbling remains of old homesteads, and deep wooded ravines. 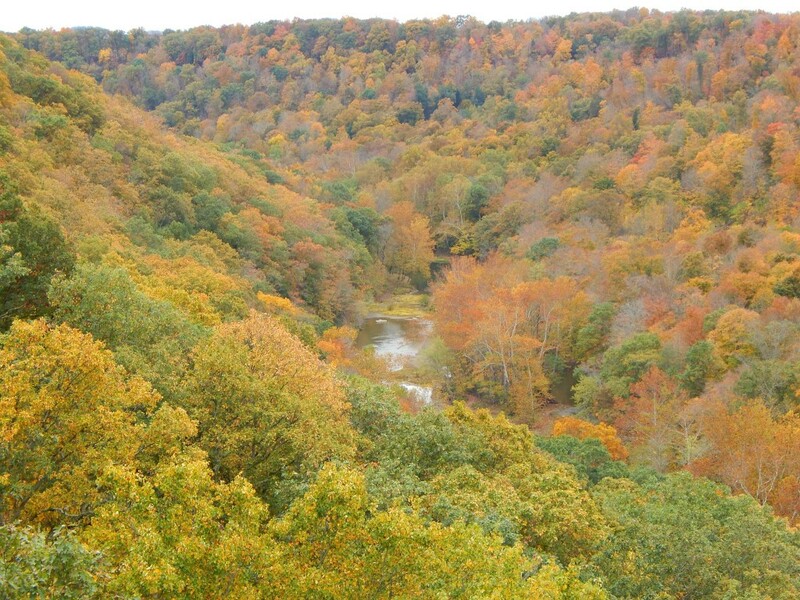 A walk along the South Point Lookout Trail offers magnificent views of the vertical cliffs of sandstone and shale that descend into the beautiful Paint Creek Gorge.